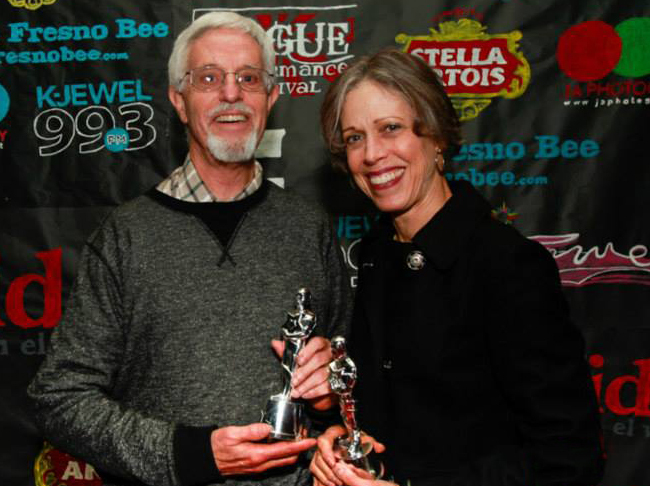 The Academy would like to thank volunteers Neal Howard and Celeste DeMonte for their contributions to Filmworks. Via JA Photography. Occupations: Celeste works as a technical writer for the software company Famous Software. Neal is a retired pharmacist. What hobbies do you two like to share? How did you end up volunteering with Filmworks? What are your usual volunteer jobs at Filmworks? What has been your most memorable volunteer experience? Are there any types of films or movie genres that you’d like Filmworks to show more of? Filmworks thanks all of our May 2014 volunteers: Jackie Aldern, Cleo Bauer, Rita Bell, Celeste DeMonte, Fae Giffen, Karen Hammer, Rebecca Horwitz, Neal Howard, Caroline Jackson, Carl Johnsen, Kathryn Johnsen, Thomas Loewenheim (discussant), Steve Malm, Ann McGowan, Conde McGowan, Dominic Papagni, Gene Richards, Bill Rovin, Richard Stone, Tracy Stuntz, Betsy Thompson, Lorraine Tomerlin, Phil Unruh, Andrew Veihmeyer, Analise Villalobos (intern), Suzanne Watkins.